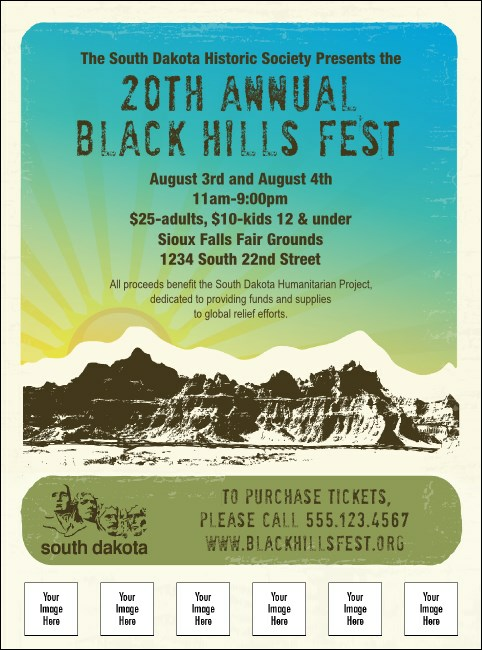 Shine a light on the Black Hills! Brighten your day while you spread the news about your upcoming event when you choose the solar-charged design of this South Dakota Flyer. With a smaller Mount Rushmore design and space to upload six of your own custom images, it's a brilliant concept for event publicity. Add your face or any other uploadable image for monumental publicity from TicketPrinting.com.